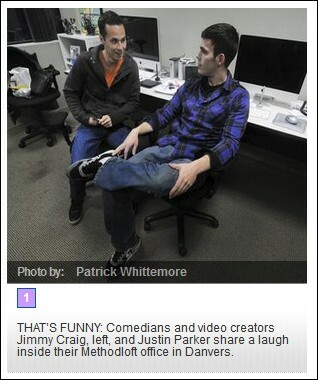 For a couple of comedians, Jimmy Craig and Justin Parker don’t joke around much. Not, that is, when discussing their craft. They’re hoping they get that chance after the recent triumph of “Cat-Friend vs. Dog-Friend”...The clip, shot in their hometown of Billerica and posted in late November, went viral, collecting nearly 7 million YouTube plays in its first month and a segment on the “Today” show. Move over Paula Deen -- Jimmy Craig and Justin Parker are in the house. 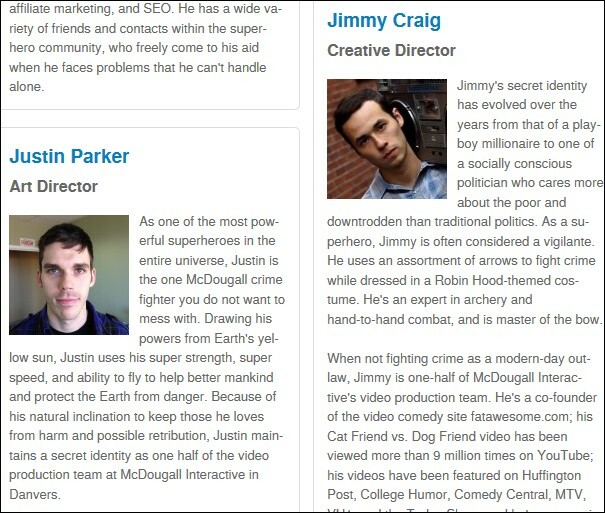 ...Craig and Parker formed a two-man corporate video production company called Methodloft in January 2011, partnering with McDougall Interactive, a marketing agency that was seeking an in-house video team..."Immediately it was a match made in heaven (says company president John McDougall).